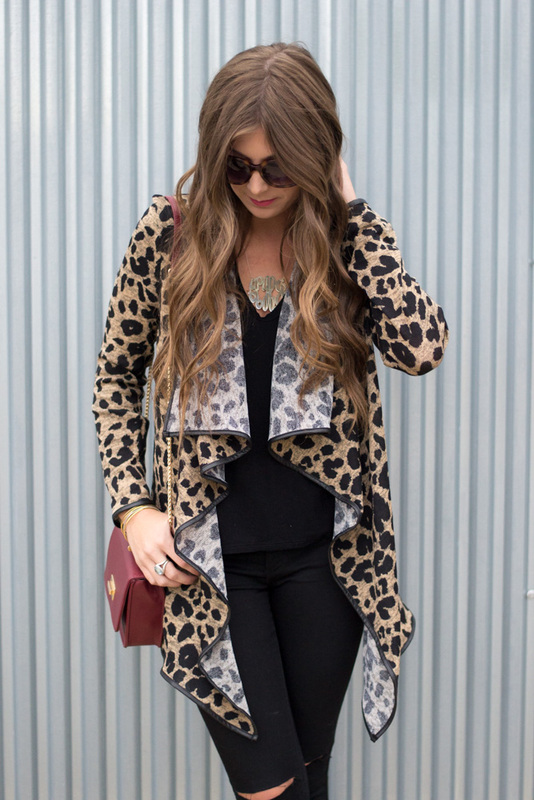 This leopard cardigan just screams Kelsey! 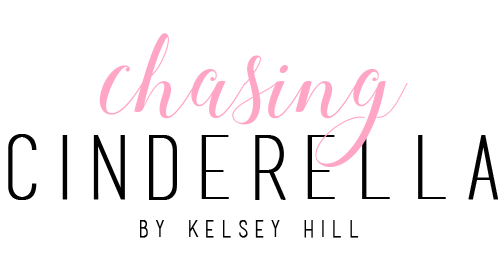 If you've been following me for awhile, then you know I have a thing for animal print.. especially leopard! This cardigan is light weight and perfect for the cooler fall nights. Jack & Monroe has a great selection of cardigans that would be perfect to wear for Thanksgiving! Don't forget to use my discount code CINDERELLA20 to receive 20% off your Jack & Monroe purchase! I had such a fun morning yesterday! I had the opportunity to meet some local bloggers for a holiday Draper James shoot at The Beach Club. I can't wait for y'all so see the photos! The hotel is amazing and absolutely gorgeous! Do y'all have any fun weekend plans? Cab is out of town, so I'll just be trying to put our house together. It is still in shambles- boxes everywhere. But it's getting there! I'm hoping to have the living room all set up before I drive home to Maryland for Christmas! That leopard cardigan is so fun!! I am obsessed with leopard too and definitely need this. Plus your lip color is so pretty. Okay now this cardigan is everything!! I love the layers in the front! Such a cute sweater! Love the draped front! Have a great weekend, babe! Loving the leopard print and the pop of color you added with the bag! Love this cardigan! And that's so fun I love their holiday shoots! 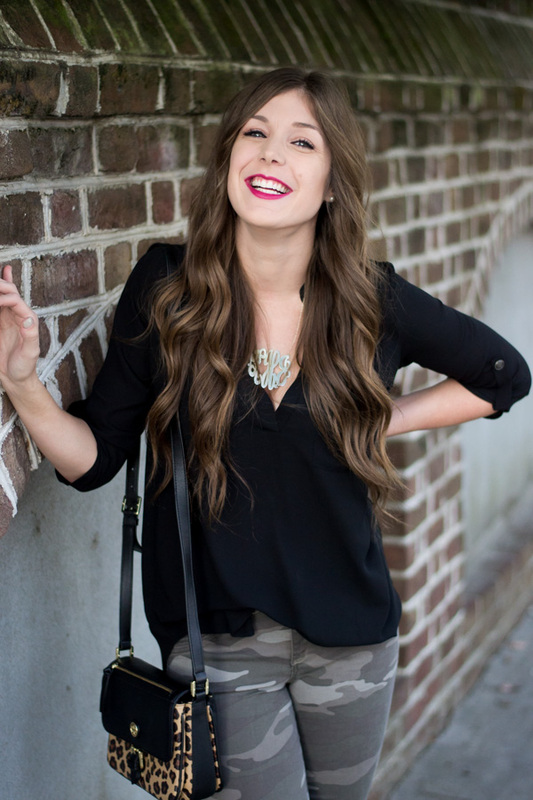 Love how you added leopard / burgundy to an all black look! I love that cardi and the large monogram! Perfect combo! You're rocking the leopard! And those shoes are amazing! Such a chic look! I love how you have put this outfit together and the leopard print cardigan really makes the outfit! I LOVE this cardi on you!! Those jeans were paired perfectly with it! Gorgeous!!! So you know I am SUCKER for black! I am loving those jeans, but more importantly, that cardigan! I love the angles! So gorgeous, Kelsey! Love how that cardigan drapes on you! So pretty! You have fabulous style, girl! Love this look and post! What a fantastic flyaway cardigan! Love that fun print! You styled this leopard print cardigan perfectly! Definitely makes me want to go out and buy one. That purse is SO cute!!! Totally need that! Leopard and black is one of my favorite combinations and I think I HAVE to have that sweater! Ahhh that cardigan with those jeans!!! Leopard is one of my favorites--I consider it a neutral. Love this whole look Thanks for sharing! This leopard print cardigan is so cute! The perfect style for mixing and matching! That cardigan is fabulous. Leopard is my favorite neutral! I'm loving leopard this season, looks great on you! So in love with this outfit! I love love that cardi!